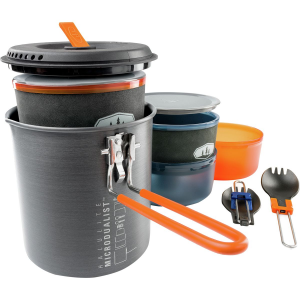 The Halulite 2 liter and 3.2 liter pots are supremely lightweight, rugged, and uncompromising, making them ideal for fast and light endeavors. 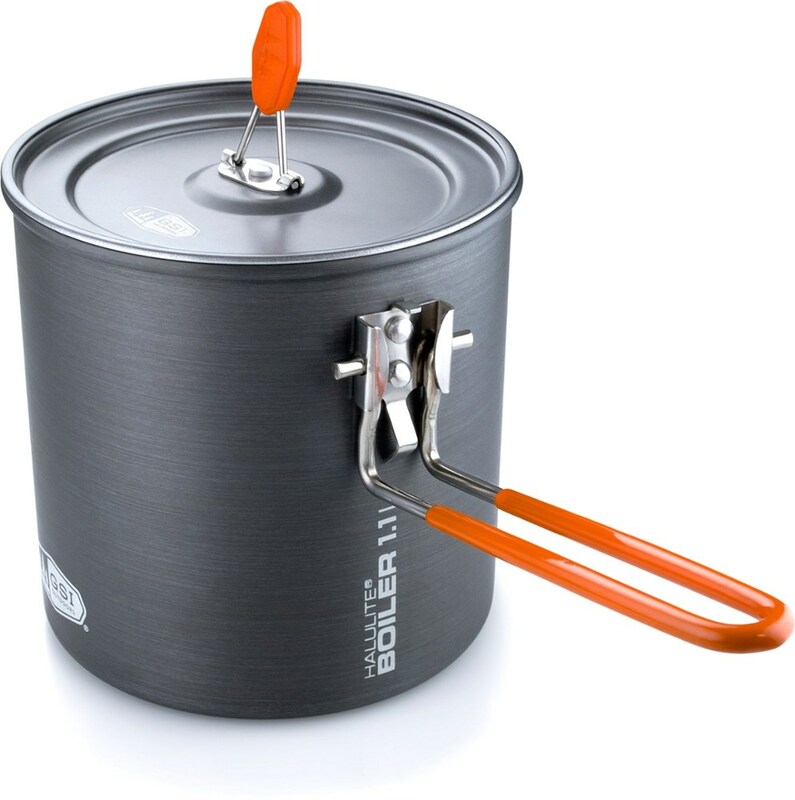 The Halulite Pots feature dual locking handles, integrated straining holes in the lid, and spiral-turned base that grips stoves and grills securely. 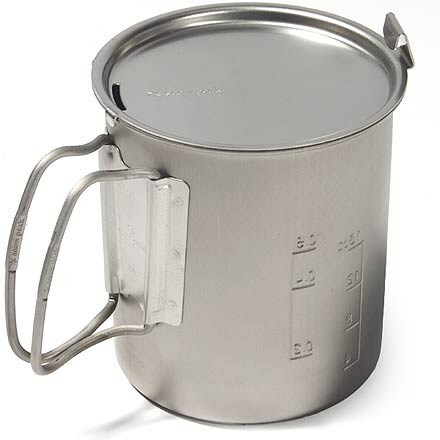 GSI Camp & Hike Halulite Pot-2 L 50192. Light as Titanium Halulite is a proprietary alloy that also conducts heat better and more evenly-so you can leave the extra fuel at home. Perfect for back-packing and camping its ultra light without the sacrifices. 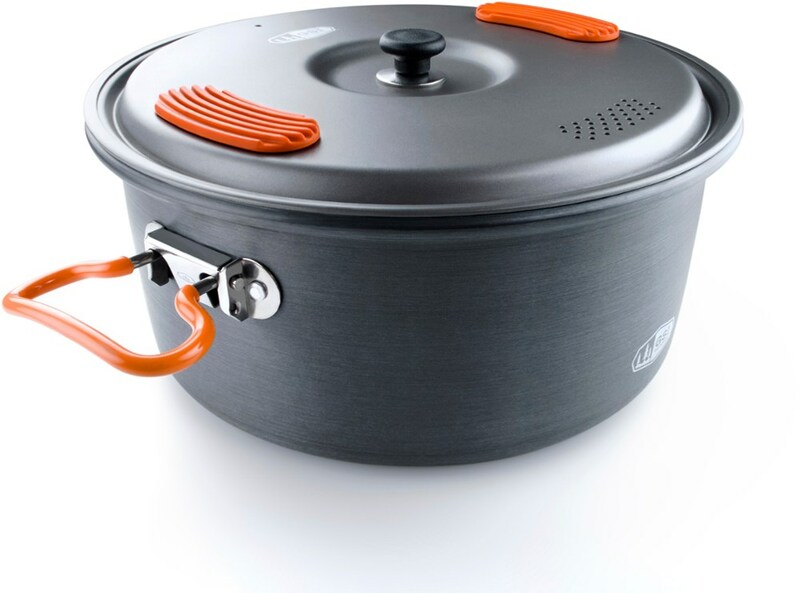 Cook more with less fuel! 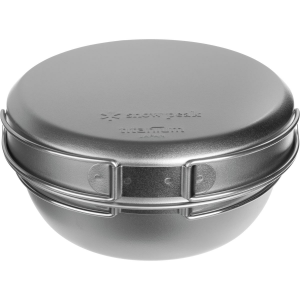 The hard-anodized aluminum GSI Outdoors Halulite pot conducts heat better than titanium at a comparable weight, giving you great cooking fuel efficiency. 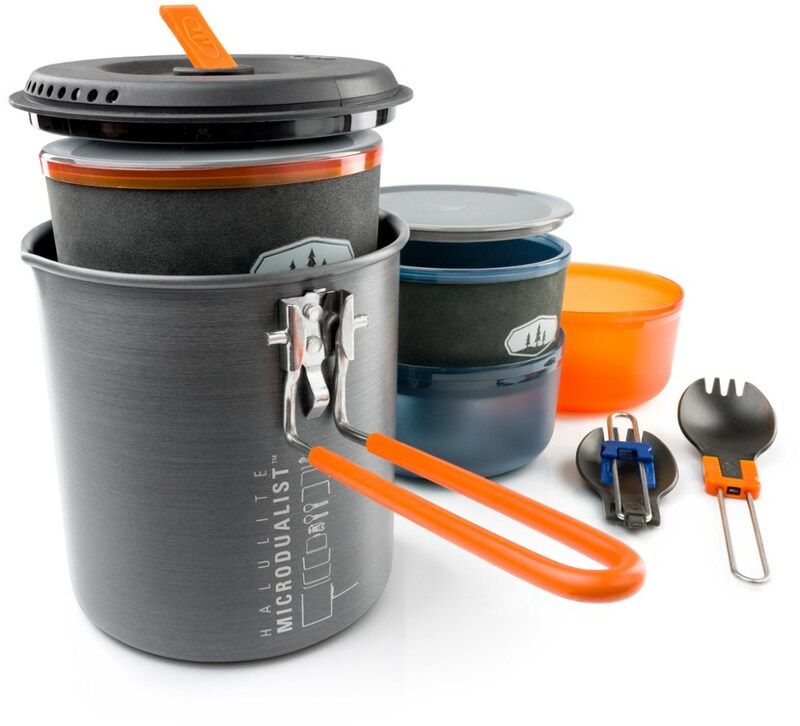 Who says camping means eating burnt-to-a-crisp food nuggets roasted on a stick' Bring the GSI Outdoors Halulite Pot to camp, and make any dish your mind conjures for yourself and your camp-mates. Hard anodized aluminum is lightweight and durable, while the uncoated metal is impervious to scratching. Handles and silicone thumb pads allow for burn-free carrying, and integrated straining holes allow you to easily make pasta without having to carry a bulky strainer or lose precious noodles through a botched straining attempt. 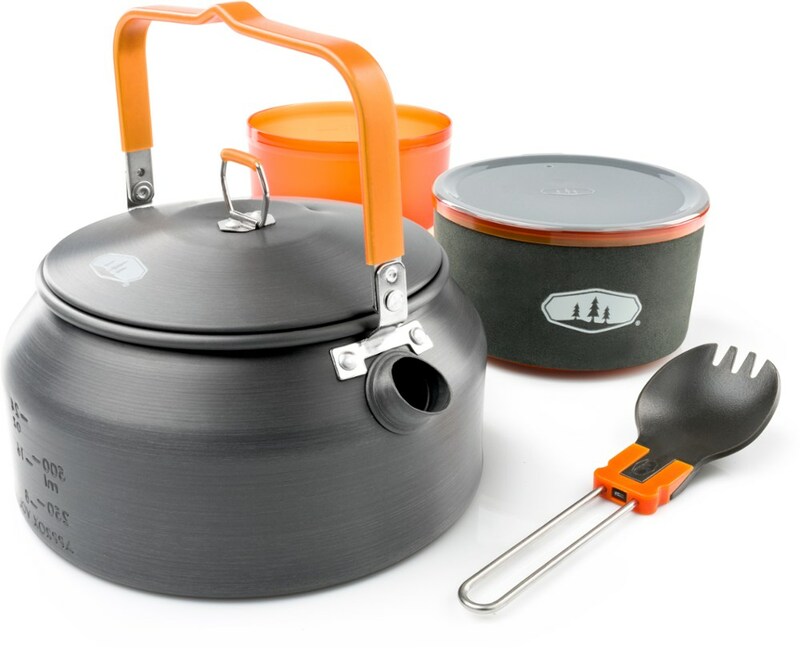 A spiral-turned base securely grips grills and stovetops, and an included mesh stuff sack makes packing simple and easy.